Over the summer, with support from two student interns, we have been upgrading our MA in English Language Teaching: Online programme, ready for relaunch in September 2018. The upgrade has involved a migration from a Moodle Virtual Learning Environment to Blackboard, as well as a review of the structure and clarity of all of our online resources and materials and the usability of the various course communication channels from a student experience perspective. Our students are all busy part-time online learners, and practising English Language Teachers, who are based in around 25 different countries across the world. We will have computers set up with our new Blackboard course in Room 2129 and would be happy to demo the features of the course, and chat generally about our experiences of running a fully online programme for part-time distance learners. This event may be of interest to you if you would like to hear more about developments to this course, are thinking about upgrading your own Blackboard course, or have an interest in the design of online learning experiences generally. Continue reading"Drop-in Event: MA in ELT: Online relaunch"
Students and staff with an interest in the uses of mobile technologies for learning and teaching may be interested in registering for the award winning 12-day online project, The 12 Apps of Christmas, which is now back for its third year. This initiative focuses on exploring 12 mobile apps, which can help students to personalise their learning and educators to support them to do so. Participants are introduced to a different app each day, over 12 weekdays (for approximately 12 minutes a day), starting on 1st December 2016. This year, the course is a collaborative effort and educators from Ireland, UK and America have come together to produce 12 case studies, each showcasing a different mobile app with descriptions of how they have integrated it into their own learning, teaching and assessment practices. Find out more and register on The 12 Apps of Christmas website. You can also tweet any questions using the hashtag #12appsDIT. Continue reading"The 12 Apps of Christmas"
Modern Languages staff and some of our PGR students will be presenting at the 11th e-learning symposium, taking place today and tomorrow in Building 65, Avenue Campus. Come and find out what they have to tell us about the conference theme ‘Humans and the machine’! You can also follow the conference on #elearnllas for instant updates on all the action and watch the keynote talks live. Continue reading"Look out for Modern Languages staff and students presenting at the 11th e-learning symposium!" 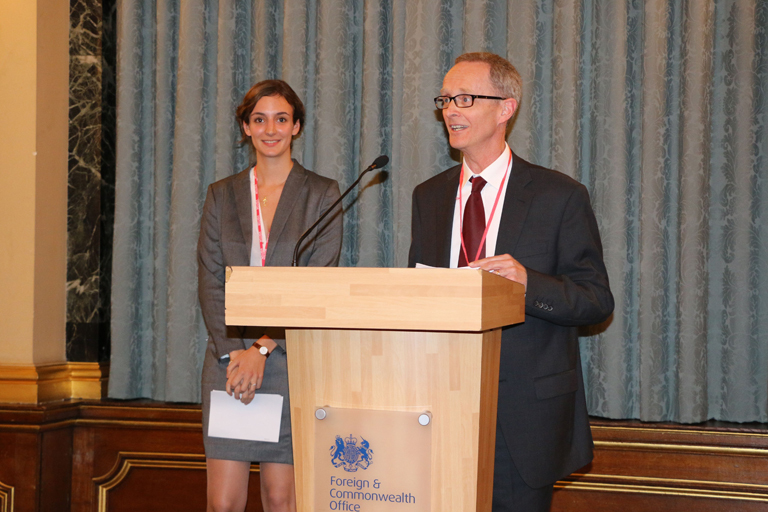 A new national initiative to promote German Studies was launched in the splendid surroundings of the Locarno Room in the Foreign and Commonwealth Office in London on 10 November. The Think German Network is a consortium of university German Departments / Sections working in collaboration with the German Embassy (for further information, see http://www.uk.diplo.de/Vertretung/unitedkingdom/en/11/TGN.html). Modern Languages at Southampton was represented at the launch by Anna Duckwitz, our student intern from the University of Münster, and Patrick Stevenson. Anna is working with staff and students to develop SoGerman: Southampton German Network, designed to bring together students of German in schools, colleges and the University. The SoGerman website will provide a dynamic online resource on diverse aspects of German language, culture and society, written by students for students, for example: ‘Everything you wanted to know about German Music in the 80s’. And through social media it will be a kind of conversation between young learners of German about whatever interests and motivates them – from film to fashion, from cultural events to travel tips. Continue reading"Launch of Think German Network"
A new MOOC (Massive Open Online Course) on ‘How to succeed in the English B1 Level Exam’ has been launched this week (starting 3rd November). The MOOC is aimed at learners with an intermediate level of English as a Foreign Language who would like to take an official exam. The MOOC has been developed as part of the European Project ECO and offers a wide range of learning strategies and tips, all free of charge. To find out more about the MOOC, including details about how to sign up, visit the course page on the ECO Project website. 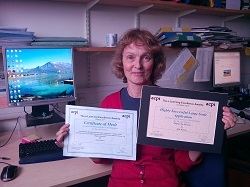 Continue reading"New MOOC: How to succeed in the English B1 Level Exam"
Julie Watson from Modern Languages, has been awarded an e-Learning Excellence Award for Prepare For Success, the web-based transition tool for international students coming to study in the UK. The competition for the awards was conducted by Academic Conferences and Publishing International (ACPI). The call for the competition, announced in 2014, attracted 70 submissions from the university environment, business or industry, government departments or schools. In the second round of the competition, 36 applicants were then invited to submit a completed case history. 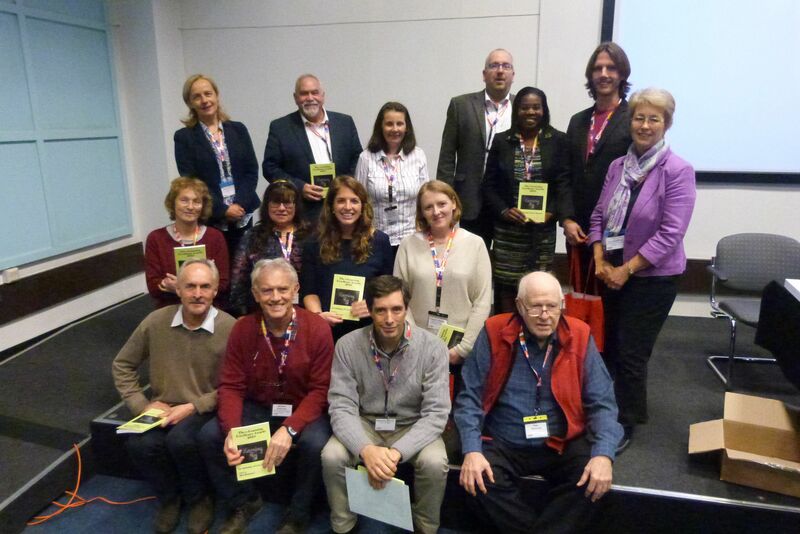 A panel of experts chose 12 case history finalists who were invited to present their work at the 14th annual European Conference on e-Learning (ECEL), held at the University of Hertfordshire in October 2015. All 12 case history finalists were published in ‘The e-Learning Excellence Awards 2015: an Anthology of Case Histories’ edited by Dan Remenyi. 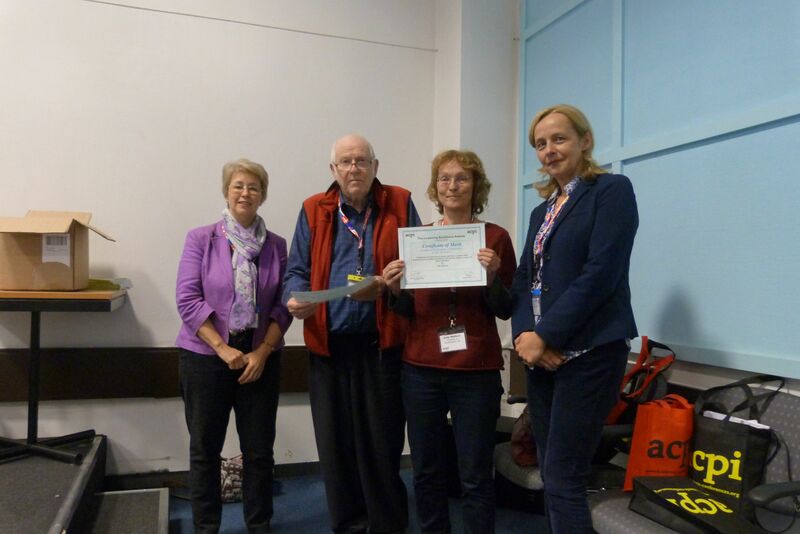 Five top prizes were awarded, which included the award for ‘Highly Successful Large Scale Application’ for Prepare for Success. The open multimedia learning resources on the Prepare for Success website help international students prepare for the transition to UK academic culture before they arrive and have drawn 1.3 million visits from users in 232 countries since launch in July 2008. Modern Languages has an active eLearning group. To find out more about small research projects being undertaken by staff in the Modern Languages department please visit the eLearning group blog. Continue reading"E-Learning Excellence Award for Prepare for Success"
Do you make innovative use of technology in language teaching and learning? Have you been experimenting with MOOCs and wish to share your experiences? Do you use social networking sites, virtual worlds or mobile technology with your language students? Are you engaging students in the creation or use of open educational resources? 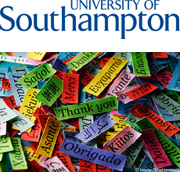 The Centre for Languages, Linguistics, and Area Studies (LLAS) welcomes proposals for presentations, workshops and posters at the University of Southampton 11th annual e-learning symposium, taking place on 21-22 January 2016 at the University’s Avenue Campus. The conference theme is: Humans and the machine: best practice in using technology for language teaching. Abstracts for proposed presentations or workshops should be no more than 400 words. Abstracts must be submitted by Monday 12th October 2015 via this i-survey link. 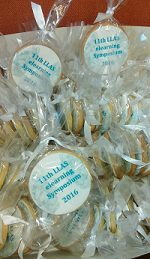 For further details about the e-learning symposium 2016, visit the LLAS event page. Continue reading"University of Southampton 11th annual e-learning symposium 2016: Call for contributions"
Following a recent series of visits from groups of researchers and academics from Tomsk Polytechnic University (TPU) in Siberia, Modern Languages is pleased to welcome a further group who are participating in a professional development course in Blended Learning here at the University’s Avenue Campus, from Monday 14th September to Friday 25th September 2015. We welcome the group to the University and wish them an enjoyable time with us! The group will be in the Avenue café from 10:45 to 11:15 each morning and visitors are welcome to join them for an informal chat. Continue reading"Modern Languages welcomes new visitors from Tomsk Polytechnic University"